No email marketer wants to be accused of sending spam. But if you aren’t careful to avoid spam traps, you can end up getting blacklisted, even if your business is legitimate. Here’s a quick rundown on what spam traps are, why they matter, and how you can stay away from them. In a nutshell, a spam trap is a fake email address that’s been set up to catch spammers. A spam trap looks like a normal email address, but it’s not owned by a person. Rather, it’s controlled by an inbox provider, like Google or Yahoo. A spam trap address isn’t used to send emails or sign up for any mailing lists. Theoretically, it should never receive any mail. If any emails land in the spam trap’s inbox, it’s a sign that the sender acquired the address through questionable means, like scraping data or purchasing an email list. ISPs usually blacklist email addresses that send mail to spam traps. There are several different kinds of spam traps. The first is a pristine spam trap. A pristine spam trap is created by an ISP solely for the purpose of finding spammers – it’s never used for any other purpose. The ISP posts the pristine spam trap somewhere on the internet where normal internet users won’t be able to see it. When email starts showing up in the trap, it means that the sender is either scraping data themselves or purchasing scraped lists. Another kind of spam trap is a recycled spam trap. Unlike pristine spam traps, recycled traps are real email addresses that were abandoned by their owners and deactivated by their ISP. After a period of time, the ISP might decide to reactivate some of these old addresses to catch spammers. Recycled spam traps are useful for catching senders who never clean their email list. When an email address is deactivated, any emails sent to that inbox “bounce” – that is, they’re returned to the sender as undeliverable. At that point, the sender should delete that contact from their list. Some senders don’t follow this rule, though. They keep sending emails to deactivated addresses for months or years. When these addresses are revived as spam traps, any emails they receive are a giveaway that the sender hasn’t been maintaining their email list properly. A third type of spam trap is a typo spam trap. This kind of trap works to catch spammers who don’t obtain permission to add people to their list. As the name implies, a typo spam trap is an email address that contains a common typo, such as someone@gmal.com. Anyone can accidentally hit a typo spam trap once, but if the same person repeatedly sends mail to this type of trap, it’s an indication that they aren’t using a double opt-in system to confirm their subscribers’ email addresses. Even if you’re not aware of it, you might have already collected some spam traps in your database. This is a problem you should take seriously. If an ISP blacklists you, your emails will go into your subscribers’ spam folders. This is terrible for both your reputation and your email campaigns. Sometimes senders can convince an ISP to take them off the blacklist, but this can take a while, so it’s best to avoid being blacklisted in the first place. Contrary to popular belief, one spam trap on your list can be just as damaging as ten or even a hundred. The ISP that owns the trap doesn’t know whether your business is legitimate or not, and it doesn’t care how many other subscribers you have. It just knows that your emails are going somewhere they shouldn’t, so you still run a high risk of landing on a blacklist. You probably won’t have a problem with spam traps if you maintain your contacts list and stay away from shady email marketing practices. Here are three things you can do to make sure your email campaigns don’t get you in trouble with ISPs. 1. Never buy email lists. Don’t buy email lists under any circumstances. The risk isn’t worth it – most lists are scraped from the internet, so they’re full of dead addresses and spam traps. Grow your list organically instead, even if it takes a while. There are two kinds of email bounces – hard bounces and soft bounces. A hard bounce means that the email address has been deactivated or the domain name is invalid. Hard bounces are permanent. Your emails will never be able to get through to that contact, so you should delete them from your list immediately. The issue is a little less clear-cut with soft bounces. A soft bounce indicates a temporary problem with an email address, such as a full inbox. This problem might get resolved later, so you shouldn’t delete the contact right away. However, if you keep getting soft bounces from a contact – say, more than three times in a row – you might as well just delete them. If certain people on your list never open your emails, there are a couple of possibilities. That person might not be interested in your business anymore, or the email address might have been abandoned. Depending on how you obtained it, it could even be a spam trap. Whatever the case, there’s no point in keeping inactive contacts on your list, so clean them out. Spam traps are bad news. If you hit one and get blacklisted, your email campaigns won’t be effective, and your reputation could take a long-term hit. Luckily, it’s not difficult to keep your list clean. 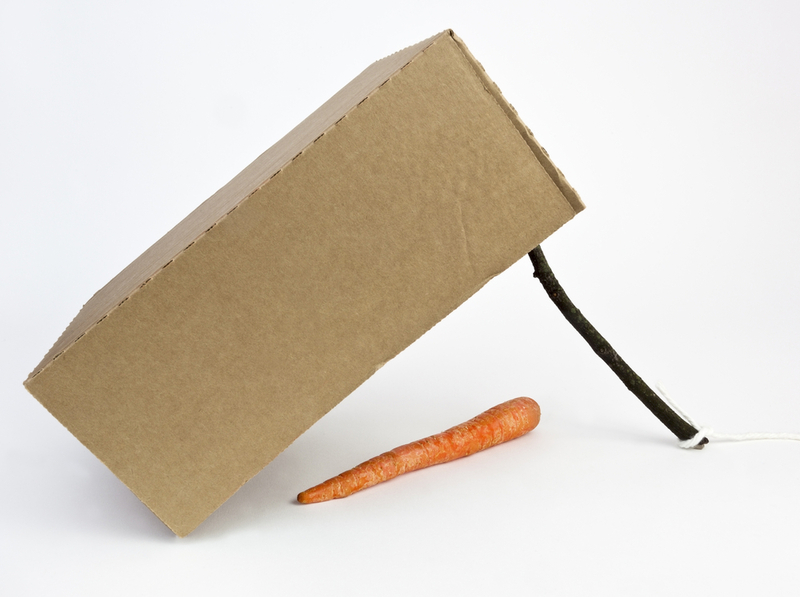 If you follow a few simple best practices, you probably won’t have to worry about spam traps.